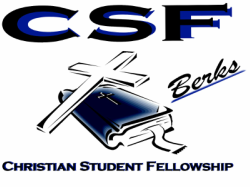 CSF runs like any other student club on campus, with the primary leadership being the student leadership team. This team is chosen each year in the spring and serves for the upcoming school year. They are advised by an employee advisor, Officer Mark Groff, and a non-employee advisor, Pastor Dave Hershey.